Steven Gerrard unfortunately didn’t make the starting lineup, but was present on the bench. Aly Cissokho was recalled at left back with Daniel Agger retaining his place in central defence alongside the stalwart Martin Skrtel. Iago Aspas was introduced to the starting XI. Raheem Sterling and the young Spaniard will be out on the wings, Jordan Henderson and Lucas Leiva in the central midfield and Philippe Coutinho sitting just behind Luis Suarez upfront. So, the injuries have forced a change in formation. All being well, the new-look side can crush Hull here at Anfield. Liverpool started the match positively and were pinging the ball around well. Hull closed down well and were very defensive. The play all seemed to get caught up in midfield with few breakthroughs for both sides in the final third. Some hefty challenges were going in. Hull started to get the odd chance after the first ten minutes. They scored 6 goals in their last outing so it is no surprise that they have confidence going forward. In the eighteenth minute it looked as though Liverpool had got the breakthrough. A nice free kick from Coutinho was floated in from the right and Luis Suarez got nicely on the end of it with an accurate header which skipped past the Tigers’ keeper. Unfortunately Luis was marginally offside when the kick was taken and the linesman had correctly flagged it. Hull escape….for now. Tom Huddlestone became the first player into the referee’s book with a hefty challenge on Suarez, shortly afterwards. Nice to have him on a caution so early on. Philippe Coutinho had a speculative long free kick comfortably sail into the keeper’s arms. The Reds started to dominate and get a few more breaks, though we were not building play up enough and shooting rashly when it might have been better to build up the play. Luis Suarez picked out a perfect pass for the accelerating Raheem Sterling to run onto. As he moved in on the Hull keeper, Allan McGregor, the goalie stepped up well and prevented Sterling from seizing the opportunity. The attacks were coming thick and fast now. Hull’s defence looked unable to cope with our forward force. There was a prolonged period, mid first-half where the game petered out and a midfield battle ensued. Suarez seemed to be the recipient of Hull’s hard-hitting tackles. In he 36th minuted Daniel Agger climbed up around the penalty spot to get onto the end of a corner and headed the ball goal-ward. Jordan Henderson was acting as a foil and the distracted keeper could do nothing to save our central defender’s effort. 1-0 Liverpool and a goal for our captain for the day. 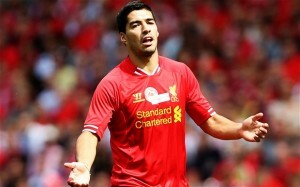 A frustrated Luis Suarez ended up getting booked although it was unclear exactly why. Perhaps it was a bit of backchat as he was getting too much attention from the Hull midfield and defence. Jordan Henderson missed a great opportunity to put us two up. Iago Aspas gave a nice flick into the path of Henderson who unfortunately shot just wide of the left post. It was a well-crafted move and deserved more. Just before half-time Henderson and Coutinho combined well but the Brazilian shot wide of the post. Another clear chance. Maybe we should be three up by now? We go into half-time a goal to the good. A few minutes into the second half and our lead was indeed doubled. The Uruguayan maestro delivered one of his trademark free kicks from about thirty yards out. Suarez left the keeper no chance, with sniper-like precision. World Class is the best way to describe our star man. Our sixty-three percent stats seemed to continue into the second half. Hull will have to really get lucky to earn points at Anfield today. Another unfortunate injury concern meant that Glen Johnson, who’d been struggling for some time, hobbled off to be replaced by Kolo Toure. Steve Bruce decided to shuffle his deck, making a three-way tactical substitution: George Boyd for David Meyler, Danny Graham for Robert Koren and Matty Fryatt for Yannick Sagbo. He needed to ‘Attack, Attack, Attack!’, as our Kop might cry in our own times of desperation. In the 62nd minute our talisman returned to action when Iago Aspas was substituted for Steven Gerrard. It seems a good opportunity to give him a run out after his injury layoff. Coutinho and Henderson kept the pressure on the opposition goal. 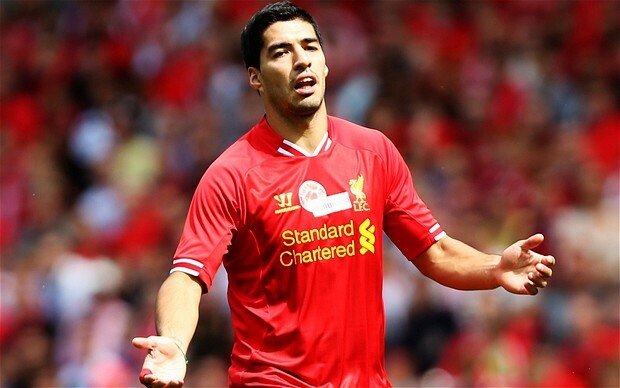 Luis Suarez seemed to be relatively quiet, perhaps the aggressive Hull players has successfully silenced him? Coutinho seemed to be really flying and made a fantastic run down the centre, shooting hard, only for the keeper to parry it away. Raheem Sterling left the field to give Victor Moses a fifteen minute spell to exercise his wares. Hull continued to do battle and pressed hard to try and get something from the game, but Liverpool were calm and resolute in defence. The two goal cushion was comfortable and without being overly relaxed, they kept the Tigers at bay. Luis Suarez continued to draw challenges and a good run by him through the middle led to Curtis Davies illegally ending it and getting himself booked in the process. Luis Suarez couldn’t repeat his set piece magic in the ensuing free kick. Coutinho, in injury time, again was denied. He had shown a lot of promise today, though the end result wasn’t forthcoming. the game finished 2-0 and a good three points should put us back within our targeted top four range. Brendan Rodgers proved his tactics were astute. Forced into a formation change he understood how best to over-rule a dangerous side who had made us look stupid only a month ago. Liverpool have successfully reversed the downward trend of our post-Christmas mini crisis. We have to maintain Anfield as a fortress throughout the second half of the season and today was a good day for tending to the ramparts. Next up is an FA Cup tie against Oldham here on Sunday. 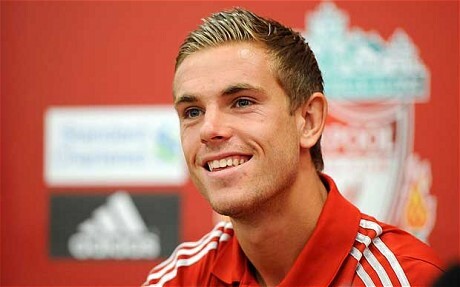 Man Of The Match: Jordan Henderson. His deeper first half role enabled him to keep the out-of-depth Huddlestone well at bay. Henderson managed to get forward on many of our best attacks and seemed to outshine all other players in what was a good team performance. Hopefully Roy Hodgson will be taking note and Henderson could have an important role to play in the national side come the summer. Well, we were all wondering what our two Christmas fixtures against Manchester City and Chelsea would bring and unfortunately they brought nothing – well – in terms of points that is. We have slipped from top of the league at Christmas to out of the top four by New Year, the first team ever to record that achievement. Everyone knew Manchester City and Chelsea away would be tough nuts to crack. We need to reverse the slide and get three points today. On paper, Hull at home looks a perfect opportunity to do so. Anfield is a fortress once again. 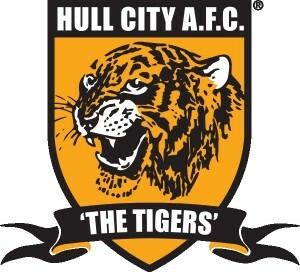 However, it was only the start of last month that saw us put is a dismal display at the KC Stadium and get thrashed 3-1 by Hull City (Gerrard The Red match report here: http://gerrardthered.com/match-report-hull-city-vs-liverpool-01-12-13-474 ). Steve Bruce won the battle of the managers that day and frustrated us defensively and took full advantage of our players not giving a 100% performance. Revenge is on the cards and our New Years Day fixture, the start of the New Year is a MUST-WIN at all costs. The injury crisis has deepened at Liverpool. The two losses unfortunately had an additional toll on our already depleted manpower. Joe Allen is out with a abductor strain and Mamadou Sakho has hamstring trouble. Added to those already missing we really are scraping the sides in terms of squad numbers. Jordan Henderson did take a heavy knock against Chelsea though it looks as though it was nothing too serious and he should be back today. The good news is that Steven Gerrard, who has been back in training, might be available should he pass a late fitness test. We are exceptionally thin on the ground in central midfield and should our captain return it would be a boost in terms of morale. Otherwise, we will be relying on youth team players stepping up in an area which was completely bossed by Tom Huddlestone for Hull back in December. Daniel Agger should retain his position in central defence and hopefully he can consolidate his role there rather than move out on loan to Napoli during the transfer window. Aly Cissokho is likely to get a recall at left back and has to attempt to prove his doubters wrong. Is he up to the required level for high-class Premiership football? Victor Moses will be back available for selection though I’d imagine he’ll start on the bench with the boss favouring our attack trio Phillipe Coutinho, Raheem Sterling and Luis Suarez. For the Tigers, they have fewer injury concerns; midfielder David Meyler and defender Alex Bruce have both recovered from recent injuries. They do miss their top scorer Robbie Brady who is still sidelined with a groin injury. Hull are punching above their weight in the league and are just inside the top half of the table in tenth. They have been difficult to deal with for many top sides and will be prepared to battle with us today, still high on their recent victory over us. They also go into the game on the back of a 6-0 whooping of Fulham. The state of mind in each changing room could not be different. Liverpool can expect to face a confident side, not afraid to mix it up with top opposition. They will use a physical game which we do struggle to deal with. I think that Chelsea were most effective against us by being physically aggressive. Hull are a more traditional hacking side and as previous seasons clearly demonstrate,Liverpool are more likely to flounder against lowly teams than against the more fluent, skilful clubs. Huddlestone will need to be dealt with properly and I can see us having issues in central midfield. Lucas Leiva could be critical to a victory. I may seem a bit negative – after all we have scored at least three goals in our last six home league matches. If we can repeat this today then I can’t see Hull matching our strike rate and we should get the three points and hopefully march back into the Champions League places. Brendan Rodgers, as manager of Liverpool, has never lost two games in a row. He accomplished this feat whilst at Swansea too. Yes, we slipped on the carcass of the Christmas Turkey on Boxing Day and fell to Manchester City in a game we should have won. Perhaps it was a case of too much Christmas Day revelry, knowing we had made it to the top of the league for Christmas? Anyway, we cannot change the fact that we go into today’s match at Stamford Bridge in fourth place. Chelsea are a point and a place ahead, in third. Looking at the table after Saturday’s games, it is quite frightening to see that Moyes’ Mancs are just two points below us now. For all the giggling we’ve been doing at them this season…. we really ought to shape up and assert ourselves until we hit the summit again…. and stay there this time. It’s tighter than a pair of leggings at the top this season. On paper, one might suggest that today’s fixture is an easier one than our visit to the Etihad. However, we go into the game with a squad, already plagued with injuries that has been weakened even further. The proximity of the January transfer window will be a godsend for us. If we are to maintain contact with the top four and possibly attempt to win the league we need a stronger squad. Jon Flanagan is still out. Steven Gerrard, closer to recovery is still absent, along with Daniel Sturridge plus the other long-termers. Victor Moses is ineligible due to his loan conditions, ruling out a Boxing Day player. Our squad is thin on the ground. Aly Cissokho, who didn’t win the praise of the fans last week, is likely to deputise at left-back. There is talk of Daniel Agger replacing Mamadou Sakho in the centre half position though some more cautious liverpool pundits have stated that it’d be better to wait for the Hull fixture to make this change. Simon Mignolet will need to be less shaky today, and we’ll need the midfield firing up well. I thought our attacking triangle against Man City did very well. Philippe Coutinho seemed to sparkle and Raheem Sterling continues to be in top form. There has been a question mark over Luis Suarez’s record against the top sides. He has failed to score in our fixtures this season against Manchester United, Arsenal and Manchester City. He will be keen to silence doubters and can expect an extra hostile crowd, especially with it being his first meeting with Ivanovic since the notorious biting incident. 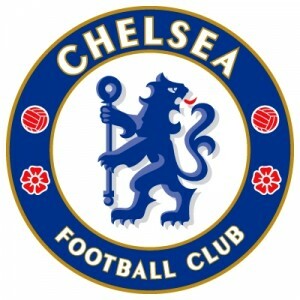 Chelsea’s ranks are also depleted though they have a much stronger squad. Ramires is out with a suspension for accumulation of yellow cards. Frank Lampard will most likely step up to replace him and there is no love lost between Frank and us. I’ve not been a fan of his since he broke Xabi Alonso’s ankle at Anfield on New Year’s Day several years ago and proceeded to taunt the Kop, proud of his exploits. Jose Mourinho rotates his defence and Ashley Cole is likely to be replaced by Cesar Azpilicueta. John Terry hits a landmark 600th Chelsea cap in today’s game. Fernando Torres is likely to be up front against the Reds, but this is good news really. In six games against us since he moved he has failed to score a single goal and is yet to register a victory. Chelsea have been far less prolific in front of goal than us so far this season, scoring ten goals fewer. Our defence is likely to be threatened less than on Boxing Day, though Chelsea’s defence is certainly among the strongest in the division. Brendan Rodgers and Jose Mourinho have a deep mutual respect and with Rodgers having served as junior team coach and also reserve team coach during the outspoken Portuguese’s previous reign at the Blues, both will be well up on each other’s tactics. Rodgers is his three latest managerial jobs has never beaten a Mourinho side. Jose is wily. His return to English football has seen a cagier less flamboyant press image and a seemingly deeper thinking seriousness about him. Chelsea’s football has been criticised for not being free flowing, but they are sitting a point above us. There’s bad news for the referee doubting Liverpool manager as one of our least favourite men in black takes charge of today’s game. Howard Webb will surely have one eye on the two point gap in the table that separates our side from his. I just hope his Christmas scotch was a little sour. Another defeat would surely put a spanner in the works. If we can stay in the hunt to the new year, we have an easier run of games coming up and key players are due back from injury. The second half of the season sees us taking most of the top sides back to Anfield where it has been re-established as a fortress. The omen’s are good but today’s game is very crucial. It is a pivot point in our season. The match kicks off at 4pm and will be shown live on Sky Sports. For Liverpool, the lineup was forced into making one change from its successful one in recent matches. Jon Flanagan didn’t make his fitness test and the talented young left back was replaced by Aly Cissokho. The game was lively from the start, to and fro, both teams looked set out to play a good open game of football. Jesus Navas hit the post with a header after five minutes. The Manchester City defence looked very disciplined and our early attack moves were thwarted as rigorous pressing, good tackling and a very wide formation stopped us in our tracks. Other teams have not forced us to use the whole width of the pitch and have left room to manoeuvre for our wingers down the sides. City stretched us to the max. I thought Raheem Sterling and Philippe Coutinho looked the main danger men. Luis Suarez was being held on a tight leash by the strict Vincent Kompahy, who commands the Man City defence. After 19 minutes Sterling latched on to a Luis Suarez through ball. Behind the defence he did well in his one-on-one with Joe Hart but unfortunately the linesman flagged him offside so the goal was disallowed. At twenty-five minutes Sterling and Coutinho combined, the Brazilian hitting the ball into an empty net after Hart was rounded by Sterling. One-nil and Liverpool haven’t lost a game when they’ve scored first this season and only one of those games has ended in a draw. The lead only lasted five minutes. 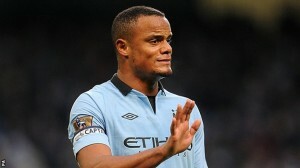 Vincent Kompany totally outmuscled Martin Skrtel as he rose to head a corner past Simon Mignolet in the Liverpool goal. Joe Allen failed to clear from the goal-line emergency defensive position. Philippe Coutinho almost scored a fantastic response in perhaps our finest move all season. Sterling, Suarez and Coutinho all worked well together and intelligently threaded it through the City centre only for the on-form Joe Hart to deny. On the stroke of half-time Alvaro Negredo gave the home side the lead. Aly Cissokho was out of position and our centre halves were nowhere to be seen. Negredo broke through and with a fairly weak shot, caused Mignolet to make a rare mistake and fumble the ball into the net. Not the best of times to start making unforced errors. Perhaps our luck has run its course? It’s been end to end for the first half and the game could still go either way> Luis Suarez needs to find a way to escape from Kompany’s pocket. Manuel Pellegrini had obviously been doing his homework on our Uruguayan marksman. Luis Suarez was being closely controlled, which allowed the other Liverpool players a bit more freedom. Our best move early second half saw Jordan Henderson almost latch onto a lovely deep through-ball. Suarez assisted in getting the rebound into Henderson in a goal-line clamour, but Henderson was given offside. Our attacks now have the finesse of a decent Arsene Wenger side – high quality and well-orchestrated total football. We were dominating possession, having 70% of it early second half. The game was end to end, but no clear chances were developing. We almost had another nightmare in defence, this time Mignolet coming to the rescue as Mamadou Sakho made a shady pass back which was almost intercepted. Glen Johnson became the first player in the ref’s book. Brendan Rodgers made the first use of his bench with a surprise change: Philippe Coutinho making way for Victor Moses, who we haven’t seen in action for a while. I though Coutinho had been more effective than usual today. Our persistent possession started to pay. We had three clear cut opportunities in the City box. Glen Johnson, Jordan Henderson and Raheem Sterling all going very close. Sterling’s chance was a real gilt-edged chance and he should have really scored it. Luis Suarez seemed to be getting muscled out away from the central areas and was cropping up down the sides. Pellegrini turned to his bench to try and turn the tide a little. James Milner came on for Samir Nasri and Edin Dzeko was brought on for Alvaro Negredo. With ten minutes left, Brendan Rodgers sacrificed Luca Leiva for Iago Aspas. The referee Lee Mason seemed to be making some erratic decisions which were costly for Liverpool. He failed to award several free kicks and Luis Suarez had two good penalty appeals shunned away. He did manage to put Pablo Zabaleta in the book and Luis Suarez also entered it for a high challenge on Joe Hart. Man Of The Match: Vincent Kompany – The Manchester City marshalled a well-run defence, dealing with Luis well and also scored a vital goal. The difference between the two teams and a quality player. Liverpool began the game with manager Brendan Rodgers imposing three changes on the starting line-up, following the defeat at Hull City. Daniel Agger coming back in for Kolo Toure at centre back was widely expected. Philippe Coutinho was fit enough for a starting place and Victor Moses dropped back down to the bench. The big surprise, perhaps, was that Lucas Leiva was left aside in favour of Joe Allen. Maybe, a home fixture against Norwich could be a good opportunity for the young Welshman to demonstrate his abilities? Raheem Sterling kept his place ahead of Iago Aspas or Luis Alberto, and Jon Flanagan also maintained his newly-acquired left back role. We obviously lost the toss, as the visitors were forcing us to attack the Kop in the first half. Norwich showed some initial liveliness which made the Kop stand alert as if they were going to have to dig in for the rare midweek evening fixture. Anfield always has a better atmosphere for evening fixtures, and the crowd seemed in good spirits despite the grumpiness among fans that has lingered since Sunday’s embarrassment. Philippe Coutinho certainly seemed keen and was displaying his silky skills right from the start. For the first fifteen minutes Norwich certainly kept our attention. We were playing loads better than at the KC stadium, with our passes smooth and linking up well. Norwich though looked set to be a test. At the fifteen minute mark, our star Uruguayan, who has a most excellent scoring record against Delia Smith’s outfit, decided to conjure up something special… From out of nowhere, forty-five yards out, Luis hit a spectacular half-volley which absolutely scorched past Norwich keeper, Paul Ruddy, into the corner of the goal. It was a real contender for goal of the season and surely sent out a clear message of intent to the Canaries. They were stuck down a mineshaft for sure and gas was leaking! The deadlock was broken but still Norwich kept their chins up and showed they were here for a game. Wes Hoolahan was one name that was never far away from the commentators tongue. Bradley Johnson managed to find his way into the ref’s book. At the half hour mark, Liverpool’s lead was to double. Steven Gerrard flicked on Philippe Coutinho’s expertly delivered corner and set Luis up for his brace. It was a left-footed shot this time, from within the area, but struck with fantastic precision and firepower. Joe Allen gave away a needless free kick shortly after the goal. He went into the book for his challenge and gifted Norwich a good sight on goal. Nathan Redmond took a good free kick which hit the target, but Simon Mignolet was un-phased and kept his eye on the ball to comfortably collect it. Straight back up the other end of the pitch and Luis had gained his inevitable hat-trick. He beautifully crafted a right-footed shot past the under siege Ruddy. Luis Suarez was on fire. He was untouchable and totally unplayable. With the latest goal he became the first Liverpool player in history to score three hat-tricks against the same club. He is truly sublime and we really must ensure he doesn’t ever leave our precious club. Captain Steven Gerrard managed to make the ref’s book just before the whistle blew for half-time. Essentially it was already Goodnight Vienna for Norwich though in all honesty they had done very little wrong, bar attempt to stand up to the magic of a world class striker at his most lethal. Chris Hughton must have been lost for words to say to his side in the dressing room. It was going to be one of those nights for Norwich. In the second half Liverpool became more dominant, bossing possession and Norwich had given up the ghost a little. Jordan Henderson own a fee kick for Liverpool in a good position 20 yards out. Philippe Coutinho took the set piece but delivered a disappointing drive which was never going to worry the keeper. Steven Gerrard came close shortly afterwards and his on target header was cleared off the line. We seemed to be co-ordinating our attacks well and linking up in the vital final third. Sterling was doing his fair share and even Joe Allen stepped up and narrowly missed receiving his first ever league goal when his blasting shot was finger-tipped over the crossbar with a stunning save from Paul Ruddy. One of Norwich’s better players, Wes Hoolahan was replaced by Josh Murphy.Jon Flanagan managed to get himself a caution too. the last thing we need today is to pick up a red and have players facing bans over Christmas. Steven Whittaker came on for Leroy Fer and also Gary Hooper replaced Johan Elmander. For Liverpool, Jordan Henderson was rested up and Luis Alberto came on for a taster. Gerrard won us a free kick 20 yards out and this time, the bogeyman of East Anglia stepped forward and to compound Norwich’s nightmare, Luis took a sublime free kick which sailed up and over the wall and dipped down past the keeper into the corner of the net. It was four for him and he was now well astride at the top of the league’s top scorer;’s list. Both Gerrard and Suarez were having a few shots saved as well. Our attack wasn’t just a one man effort. We were in general doing well, though I feel that there is an over-reliance on Luis’ goalscoring. We have two strong strikers this season but we are yet to start burying goals from other areas. Into the last ten minutes and Bradley Johnson managed to grab a consolation goal for Norwich when he beat Daniel Agger in the air and headed a well-worked goal. Our defence had very little to do tonight and have agin leaked a goal. Still work to be done. We need more zeros on the scoreline. Steven Gerrard was unlucky not to score an amazing improvised goal as he spun in the air and reversed a ball which beat the defenders but bounced back from the post. However, the fifth soon came. Luis squared to Raheem Sterling to blast it in. It was a well taken goal and eased the loneliness of Liverpool Lou on the Liverpool scoresheet. Iago Aspas cameoed for the star man at the end when he was substituted to a rapturous reception. It was Luis’ night and at the final whistle the game will be remembered for one man’s devastation. We were back on the march and Anfield truly is a fortress again. Liverpool 5-1 Norwich City. Man Of The Match: silly question really. 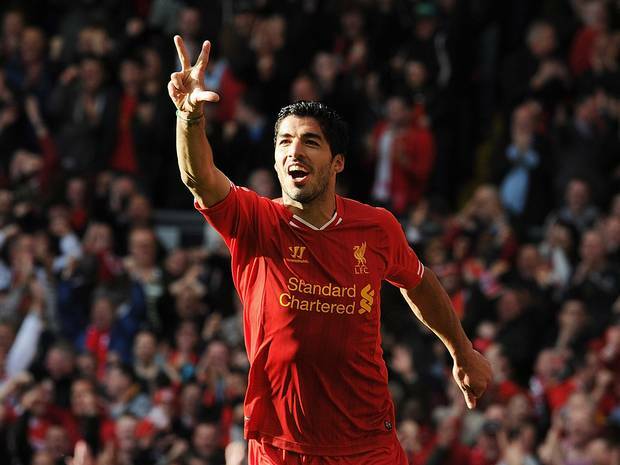 Luis Suarez, who missed so many games at the start of the campaign, is now the Premiership’s top goalscorer. His four in today’s match mean he has scored nine in his past three games at Anfield. Surely he is staking a claim for player of the season. The only concern is that the likes of Real Madrid may very well be taking a keen note of his progress. He is head and shoulders above the rest of the world’s attackers. A true legend. After the disaster last Sunday, we welcome two consecutive home games in which, again against lowly opposition, hopefully we can salvage our good start to the season and return to form. 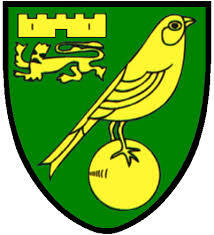 The first of these fixtures is against Norwich City, currently situated in 14th place in the table. Norwich won their last game against Crystal Palace though their away form this season has been particularly poor, with them winning only once on their travels.In contrast, Liverpool have turned Anfield back into a fortress and have only the one loss to record there (against Southampton). Norwich have a very leaky defence, the third leakiest in the league and even with Daniel Sturridge missing, there should be no excuse for Liverpool not to apply a lot of pressure in attack. Luis Suarez is a big fan of this fixture having scored 7 goals in 4 matches against the Canaries. 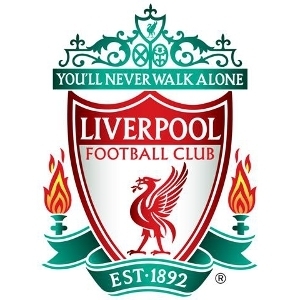 In the history of the Premiership Liverpool have never lost to Norwich and have seven wins out of eight. Under manager Chris Hughton, Norwich have won only 3 away games in 25. There are a few players missing for Norwich. Midfielders Anthony Pilkington and Robert Snodgrass are out, while club-record signing Ricky van Wolfswinkel won’t be returning until next week. Liverpool have a more fuller squad. Maybe the returning Iago Aspas will get a chance from the bench at some stage. It is likely that the dropped Daniel Agger will come back in for Kolo Toure in central defence. Philippe Coutinho could be a foil for the lone striker Suarez and possibly Victor Moses will take up a position on the wing? I think that Victor Moses was lame against Hull and maybe Brendan Rodgers will use this game as an opportunity to give Iago Aspas or Luis Alberto a rare start? The chopping and changing of our central defenders is a weakness in my eyes this season. We are really shedding goals of late and Norwich aren’t too bad in attack. Ahead of some difficult Christmas fixtures against Chelsea, Tottenham and Man City, we need to build stability at the back and rotation should be seen as a dirty word. The Kop will be expecting a comfortable result this evening and let’s hope that the Hull disaster was just a blip. Two home games against low-riders should be an easy six points and we can build to those tricky holiday games. The match kicks off at 7.45pm and isn’t televised live in the UK. I’d recommend using http://wiziwig.tv to locate a decent live web stream. There were a few surprises in the starting lineup. Philippe Coutinho, it transpires, will also be missing from our attack with a niggling injury from this week’s training. He made the bench , however, unlike Daniel Sturridge, of course, whose 6-8 week absence was confirmed by the club prior to kick off. Kolo Toure was called up in place of Daniel Agger and Victor Moses and Raheem Sterling were called in to support Luis Suarez up front. The question regarding Steve Bruce’s defensive lineup was answered by the Hull City defence conservatively opting for five men at the back. The first twenty minutes proceeded somewhat cautiously with Liverpool perhaps edging possession yet their depleted attack and the enhanced Hull defence cancelling each other out. Gerrard shone initially for the away side, pinging a couple of his trademark long crossfield balls, though in the centre of the attack, it was all a bit hackety-hack with our strikeforce failing to link properly and Hull being able to belt the ball away from their lines. At the end of the first twenty minutes, Hull were to benefit from a massive stroke of luck. Jake Livermore, moving forward dangerously, recollecting from a one-two, hit a speculative effort which unfortunately caught a huge ricochet off Martin Skrtel and left the Liverpool goalkeeper Simon Mignolet powerless to stop the ball from careering into the goal. Hull were up and with a good home defensive record Liverpool needed to step it up. The Reds duly did increase the pace of their game and within ten minutes got their reward. Jordan Henderson made a good run towards the edge of the penalty area and was brought down under a hefty challenge from Curtis Davies who went straight into Howard Webb’s book. The free kick was perfectly within Luis Suarez’s range. It was the captain, however, who stepped up to the mark and beautifully defying the wall, Steven Gerrard guided the ball with missile-like accuracy past the keeper into the bottom corner to draw us back level. In open play, Hull’s defensive tactics seemed to be working well. The newcomers, Raheem Sterling and Victor Moses, weren’t using the width of the pitch and with a narrow attack, it was relatively simple for the banks of defenders to prevent any breakthroughs. Hull were playing classic counter-attack football yet their rarer attacks seemed more penetrative. I hate playing against the lesser sides who do tend to be overly cautious against us. In seasons gone by we just fail to deal with overly-defensive less-skilled opponents and drop unnecessary points far too often. Lucas Leiva, not for the first time this season, was the victim of simulation. Robert Brady went down far too easily as he moved into the box and Howard Webb, having a surprisingly good game (considering he was refereeing his arch rivals), cautioned the diving offender. Half time soon followed. My thoughts at the end of the first half was that Sturridge was noticeably lacking. Passing was relatively poor, especially the link up play in the final third. We are guilty of allowing Hull to dictate how the game is being played. We are reducing our skill level to their standard and playing a style of game which is more suited to them. We need some freshness second half and to try a different approach. Coutinho’s creativity could prove crucial if he is risked from the bench. We need these three points, at the start of a challenging string of games and with Arsenal striding well ahead at the top. It’s going to be noses to the grindstone after the break and we are going to need to grind out a result. At the start of the second half there wasn’t really a discernible change in the pattern of play. Hull still had Liverpool contained by imposing their style of football on the game. The ball was rarely on the ground and spent far too often in the air, inviting messy aerial challenges at both ends of the pitch. There were little niggles going on in clattering challenges and our only hope seemed to be from set pieces where we have been very strong all year. Skrtel managed to get up well for a corner but a foul was given against him. There seemed a lethargy to our play. Hull’s discipline off the ball was wearing us down and mistakes were starting to show when we were in possession. The more our natural game was broken up, the more distant the three points were becoming. For the last quarter Brendan Rodgers made the much anticipated change and brought on Coutinho for Sterling, who’d been fairly anonymous for the second half. Tom Huddlestone had been having a good game in the centre of the park for Hull and he managed to have a good attempt on goal. He was certainly one of the best players on the park. Victor Moses has a gilt-edged opportunity right in front of goal at the other end of the pitch. The game seemed to be opening up a little. Again, it was Hull who took the lead. The Liverpool defenders failed to properly clear an aerial ball into the box. The ball was pinging around like a pinball machine off the shins of defenders and attackers when it set itself up nicely for David Meyler in space, who with a quality strike, steered it past Liverpool’s Belgian shot-stopper. We had allowed Hull to stay in the game and play their style of football and it was starting to hurt us. For a team who had been struggling so much to score in a game, it is such typical luck that everything seemed to tick into place against us. Victor Moses was sacrificed for Luis Alberto, but all of Liverpool’s spirit had gone out of the game. Hull were holding possession a lot better now. Even our talisman couldn’t conjure up his magic. After he was again clattered over, Suarez delivered a free kick but it was well wide of the mark. To sum up our terrible day at the office, in the final five minutes of the game, events conspired against us yet again. Toure, down in the box, was playing everyone onside. Tom Huddlestone managed to get another fortunate deflection off Skrtel who perhaps had been our best player all game, despite being the last touch on two opposition goals. Huddlestone scored his first goal in two and a half years. Prior to this game Hull had scored only nine goals all season. To get three against us, with our fairly mean defence, was a remarkable achievement. The game was far from pretty, but the home side did what was necessary to beat us. We have had a strong season so far, but we faced an astute tactician today in Steve Bruce, who set his team up well. Their good discipline is what undid us. 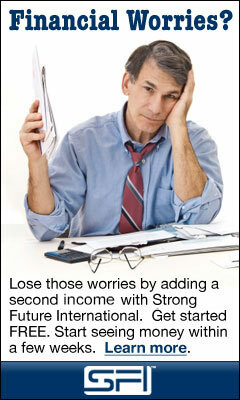 They dictated to us how to play and broke up our normal patterns. We lacked creativity up front and the supply to Luis Suarez was appalling. Moses and Sterling were the wrong choice to start and both struggled to engage effectively. We did miss Sturridge. Our SAS is enough to trouble any defence, but a lone striker needs a foil. Our lack of squad depth is perhaps coming to haunt us. The final whistle delivered a 3-1 victory, Hull’s first ever win against us. We don’t have time to restructure, with two games in the next 6 days. Luckily they are both at home. We need to address our performance today quickly. It was the worst of the year so far and if we want to stay in touch at the top of the table we will need to change our ways quickly. 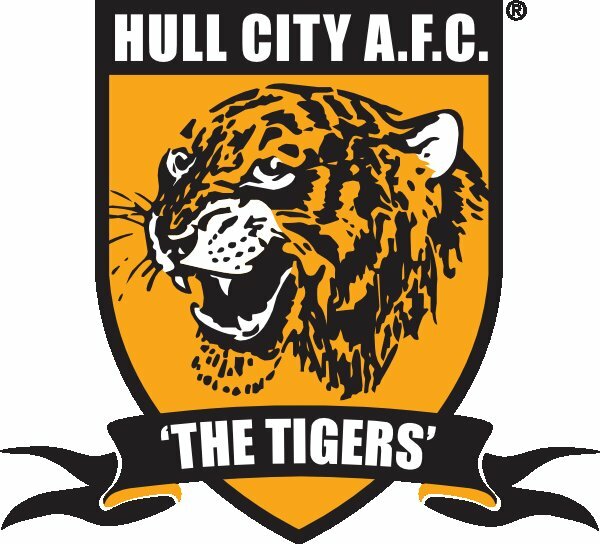 Hull deserved the victory today and we cannot be bitter. It’s the same old story of matches we should be winning against much weaker opponents turning into nightmare performances. 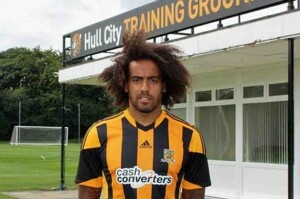 Man Of The Match: Tom Huddlestone. He made Gerrard and compadres look ordinary on the centre of the park and played some lovely flowing football, culminating in maybe a career defining goal. Everton started the game strongly, putting Liverpool immediately on the back foot. It was Philippe Coutinho, however, who delivered the early blow, latching onto a deep Steven Gerrard cross from the corner and delivering a well struck shot at the back post. 1-0 to the visitors after five minutes. Everton were straight back up, putting pressure on though and got their just desserts after eight minutes when Kevin Mirallas got behind the defence on a long, floating cross and banged the ball into the back of the net. Everton continued their early dominance and it was against the run of play after 18 minutes when Luis Suarez won a positioned free-kick 25 yards out. Our star Uruguayan took the kick himself and with a perfectly executed strike, curved the ball around the wall and straight past the Everton goalkeeper into the bottom corner. It was a magic free kick though Tim Howard could be criticised for not having placed the wall correctly. Everton continued to seem to be the team with the most possession and best passing after the second Liverpool goal. We seemed to be struggling to link up and make our game flow. At 31 minutes Ross Barkley, who’d been having a good game, was booked for simulation, faking a dive from a Luca Leiva challenge. A nasty foul on Luis Suarez a few minutes later from Kevin Mirallas left the referee with a bit of a conundrum. The challenge was high, with studs showing and was a potential career-ending tackle. Suarez, who had already been limping, stayed down and the ref really took his time, considering about whether to send Mirallas off or not. He eventually decided on leniency and just showed a yellow card. The game could have turned on this moment. 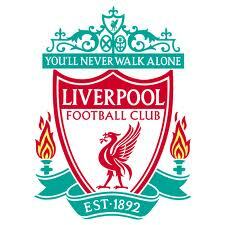 The foul seemed to gee Liverpool up a bit and afterwards they started to have more impact and flow in their game. We can expect heavy tackles, after all it is a Merseyside derby. Half-time came soon and Liverpool go in at the break, happy to be ahead, after not their best performance. Everton seemed to be playing well, though their attacks early in the second half were thwarted by a well-disciplined Liverpool defence, which always seemed to be holding a good position. Mirallas put through the new Evertonian substitution Gerard Deulofeu, straight on goal. In a one on one confrontation Simon Mignolet did well to come off his line and put off the pacey attacker enough to clear the ball away. It was a good chance and Mignolet can be praised highly for saving a clear goal-scoring opportunity. I am yet to feel fully confident in our new goalkeeper arrival, though slowly his impact on games is starting to show. At the other end of the pitch, Coutinho was demonstrating his class, trying his best to make his national team coaches take note ahead of the Brazil world cup next summer. Luis Suarez worked a gap inside the opposition penalty area and unselfishly slotted the ball through to Joe Allen who unbelievably, straight in front of goal, missed his shot, sending it wide past the post. It was a gilt-edged opportunity and something which may come back to haunt us at the end of the game. Joe Allen is yet to score a premiership goal for Liverpool and he really needs to shape up if he wishes to get the backing from the fans. A couple of minutes after the missed effort and he became the first Liverpool player to enter the referees book. Romelu Lukaku managed to get through on goal and yet again Simon Mignolet proved he was in top form by coming to our rescue. It was his second one on one save with Lukaku. He could certainly be the hero today for us, our former Sunderland goalkeeper. Brendan Rodgers seemed to see sense and made a substitution, bringing on Victor Moses for the under-performing Joe Allen. Everton won a free kick in a good position and Mignolet made another fantastic save from Lukaku, but failed to recover the ball. Lukaku remained loitering in the box and after some ricochets managed to latch onto the ball and convincingly beat his nemesis this time. Even the outstanding Belgian shot stopper couldn’t prevent the Toffees drawing level. With fifteen minutes to go the game really started to open up, becoming an end to end affair. Luis Suarez had a match-winning opportunity yet couldn’t convert a point blank header past Tim Howard. Brendan Rodgers decided to throw his all at the game and brought on Daniel Sturridge for Lucas Leiva. Liverpool were starting to ride their luck defensively and ultimately it proved too much for them. 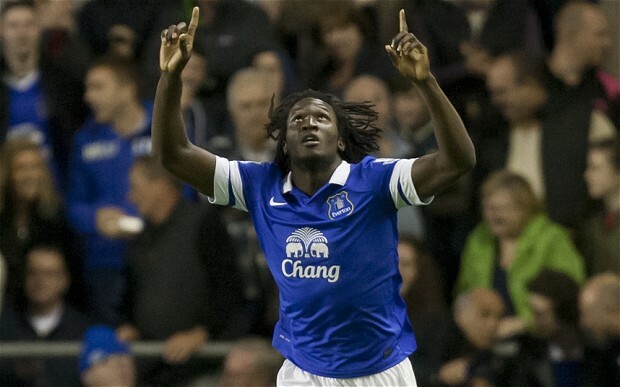 Lukaku, playing a superb game, got onto the end of a corner to head the ball straight into the top corner. With under ten minutes to go, Everton had taken the lead for the first time in the game. Glen Johnson could be criticised for the goal as he failed to mark his man properly. Right at the death, the SAS came to Liverpool’s rescue and Daniel Sturridge latched onto yet another perfectly delivered Steven Gerrard cross. With a near post header, he cleared the ball past the keeper into the back of the net. Liverpool managed to find the net again in injury time but Sturridge was unfortunately clearly in an offside position. The final whistle eventually blew and a high-scoring 3-3 draw was the final result. I said before the game that to take a point from this fixture would be a good result for Liverpool so we mustn’t grumble. Maybe if Sturridge had’ve started the game and not ben suffering from his international duty, we could have taken all three points? Liverpool stay second, though maybe they will drop places depending on the rest of the weekend’s results. Man Of The Match: For most of the game I had decided on awarding man of the match to Simon Mignolet, but his great performance was undone by the hot form of Romelu Lukaku whose two goals were fundamental in this critical derby fixture. Unfortunately for Everton, his brace wasn’t enough to deliver the final victory. Liverpool kicked off the match reverting to their more typical 4-4-2 formation. Daniel Agger had a recall in the centre of defence, pairing up with Martin Skrtel. Aly Cissokho retained his place as left-back and Glen Johnson returned on the right. Philippe Coutinho was our additional midfielder, making a welcome return. Right from the outset, Liverpool demonstrated their intentions by setting up camp in the Fulham half. Defensively Fulham looked very weak. They weren’t pressing the ball at all and had a very shaky formation. they just seemed interested in getting men behind the ball and banks of defenders built up to wait for Liverpool mistakes and to hack the ball away. It seemed as though Coutinho would be more advanced and it was more like a 4-3-3 formation from Liverpool. The side were certainly very positive and were passing the ball around really well, with Jordan Henderson and Steven Gerrard in particular, dovetailing nicely and creating lots of good attacking opportunities. Luis Suarez came closest to breaking the early deadlock, moving nicely into the box, but being denied by Fulham keeper, Maarten Stekelenburg. In the twenty-third minute, Steven Gerrard lifted another of his perfectly executed free-kicks into the box. It connected with Luis Suarez’s head and was knocked into the back of the net by Fulham player, Fernando Amorebieta. Liverpool deservedly had the lead. Three minutes later and that lead was doubled when Martin Skrtel rose to head home a Steven Gerrard corner. liverpool were rampant with over two thirds of possession and the vast majority of the territory. There were lots of skills flowing, with Philippe Coutinho regularly outclassing the lacklustre Fulham defenders. In the thirty-sixth minute an awesome crossfield pass from Gerrard was slotted through to Luis Suarez by Jordan Henderson. It was a perfectly executed pass and Luis Suarez, in a rich goal-scoring vein, had little hesitation when slotting it past the Fulham keeper. Martin Jol and the Fulham bench looked on desolate and the Fulham players looked relieved at the half-time whistle. Liverpool had enjoyed 70% possession and a return from this result looked out of the question. As soon as the whistle blew Liverpool were straight on the attack. Daniel Sturridge had his turn in front of the keeper and was unlucky not to score and Suarez latched onto the rebound to no avail. Sturridge has looked a bit shaky in front of goal the past few games and today was no exception. Still, him, Gerrard, Coutinho and Suarez were making mincemeat of the poor Fulham side. They were just gliding past them. If Liverpool hadn’t have taken their foot off the gas, then this game could easily have been a complete rout. In the fifty-fourth minute Gerrard picked out Suarez’s run and in a one-on-one with the keeper, he easily beat him to bag his brace. At 4-0 it made sense for Brendan Rodgers to rest some key players. Aly Cissokho was replaced by the returning Jose Enrique, Joe Allen came on for the captain, Steven Gerrard, who’d had a forceful impact on the game, and Daniel Sturridge made way for Victor Moses. Fulham made a few changes but the game was well beyond them. From the start of this match they hadn’t looked at all if they were bothered about playing or getting a result. The bench was static throughout and Jol’s odds to be the next sacked manager must surely have strengthened. The game closed out as a 4-0 victory and a favourable result of a draw in the Chelsea West Brom game means that Liverpool regain second in the league, with Arsenal still maintaining a two point lead and have to play Man United tomorrow. Again, we go into an international break in a strong position. Let’s hope our players don’t get over-exerted for their national sides and we return in a fortnight to face Everton playing as well as we have done today. Man Of The Match: Although Henderson and Gerrard both had superb games, Luis Suarez has to be man of the match. He looked absolutely deadly in front of goal and was unlucky not to bag another hat-trick. It was immediately clear from the start that we were facing high quality opposition. Whereas there are other premiership sides that pass the ball and retain possession well, Arsenal are masters. Their passing is not just quick and clean, it’s incisive. They play very creatively and recovering possession is difficult. We have to make our attacks count as they will be fewer and far between. A surprise to me was the starting of Jon Flanagan at right back. Him and Cissokho out on the wings will most probably both face a tough game. The early possession was divided up roughly 60/40 in Arsenal’s favour. It was back and for and Liverpool’s Jordan Henderson broke through into the box well yet was unable to finish off properly. Liverpool had a few early free kicks in the opposition half but nothing productive seemed to be resulting. In the 19th minute Arsenal’s Santi Cazorla hit a flying shot which luckily rebounded off the post. Not so luckily the rebound fell right back to his feet and he comfortably slotted the goal into the net past a fallen Simon Mignolet. Arsenal were sharp and now had managed to maintain their record of scoring in every premiership game so far. It was 1-0 and our challenge had become a lot harder. Bacary Sagna entered the book for a challenge on Luis Suarez, who had started to motor up against the Arsenal defence. Steven Gerrard lifted a lovely free-kick into the box and the keeper made a cracking stop to a Liverpool header but it would have all been in vain anyway as it was given offside. At the other end of the pitch Aaron Ramsey forced a good save from Mignolet. Sagna managed to outwit Aly Cissokho and he received the second booking of the game. Arsenal, when attacking, were really making us look uneasy. If Liverpool want to get anything from the game we need to focus on maintaining possession and allowing our attack to devastate. The first half finished and Arsenal were clearly on top with a goal, more shots on targets and 60% possession. Brendan Rodgers decided to act at half-time and our Brazilian dynamo, Philippe Coutinho, was brought on, with Aly Cissokho being replaced. A very positive manoeuvre and hopefully the impetus we need to get back into the game. Early second half and Liverpool began well, putting Arsenal under pressure. Suarez took a slight knock which was worrying. However, a couple of minutes later and he was delivering a quality ball into Jordan Henderson, only for him to volley narrowly wide. The change in formation certainly did seem to initially work. We were very luck when Kolo Toure made a terrible defensive error. He passed the ball across the goal towards Martin Skrtel, but it fell short. Olivier Giroud jumped onto it and with a clear sight of goal, he looked nailed on to score but slipped it wide. It was a really lucky break and in all honesty we should have been two down. Arsenal started their incisive attacks again and Mignolet was being called into action. In the fifty-eighth minute Aaron Ramsey collected the ball at the edge of the box and with superb control he unleashed a tremendous strike which left Mignolet for dead and spun into the top corner. It was easily the best goal we’ve conceded all season and was pure class. He has ten goals so far this season and is on form and dangerous. Rodgers decided to sacrifice the other wing back, Flanagan going off for Victor Moses. We have to throw everything at the game and it was a sensible move. Despite our tactical changes the game still looked well beyond us. We were being outclassed. It’s a step up and as the game wore on I felt a bit hollow. Was it really beyond us to be true title challengers? The Emirates is not an easy place to get a result for anyone. Arsene Wenger made his three changes, bringing on Nacho Monreal, Thomas Vermaelen and Carl Jenkinson. Liverpool kept up pressure and seemed to do well territorially but we just couldn’t break down the solid defence properly. It seemed like our biggest problem last season, the lack of goalscoring opportunities. Man Of The Match: I like to pick Liverpool players for man of the match. Out of our lot Jordan Henderson, I feel, put in the best performance. 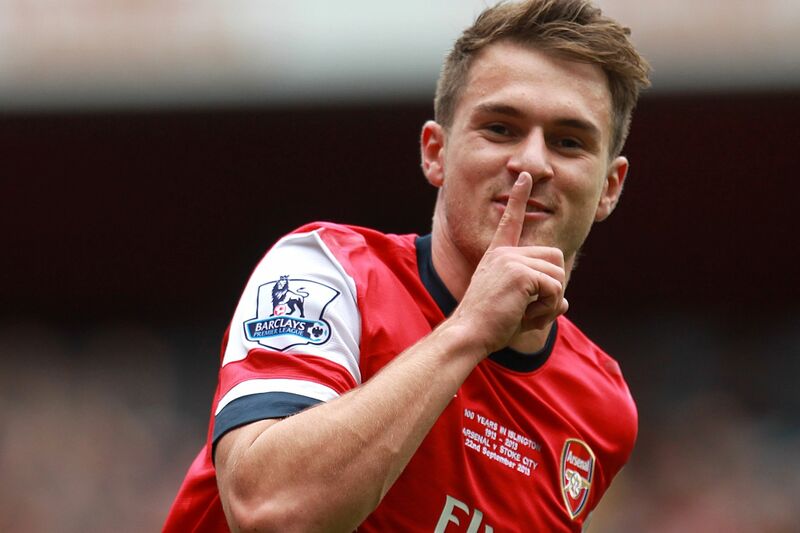 But the man of the match has to be Aaron Ramsey, whose devastating strike really finished us off. It was a spectacular goal.